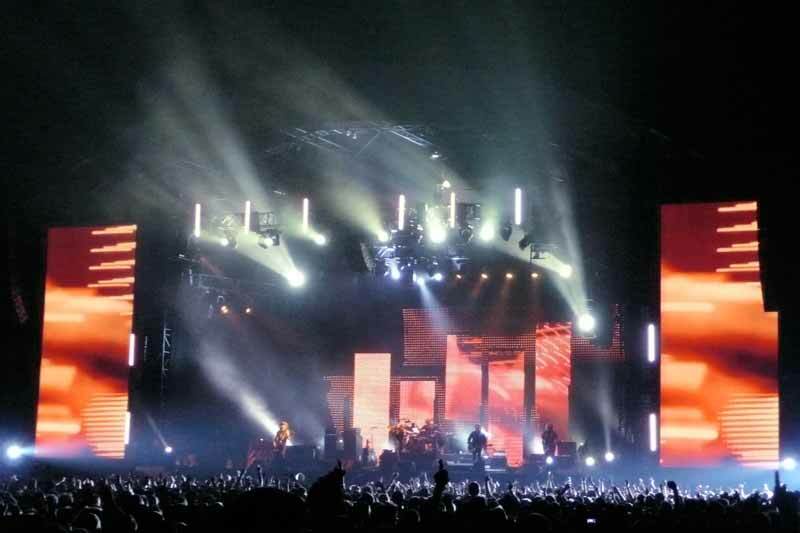 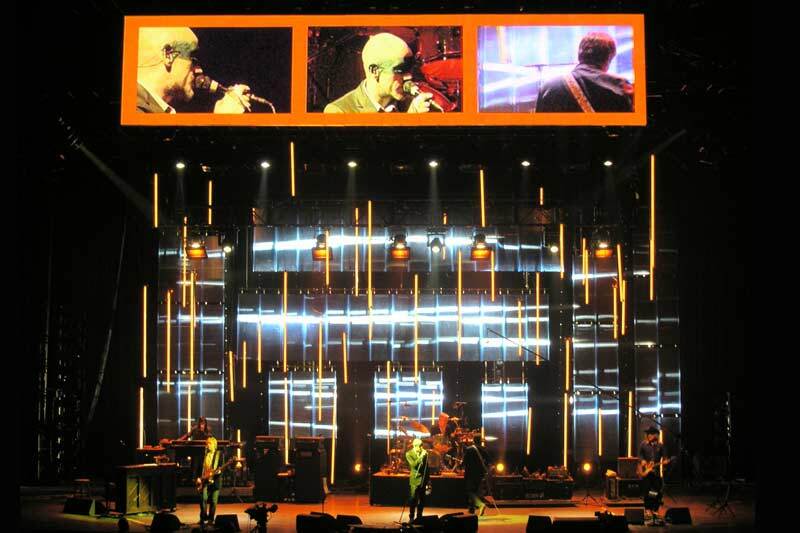 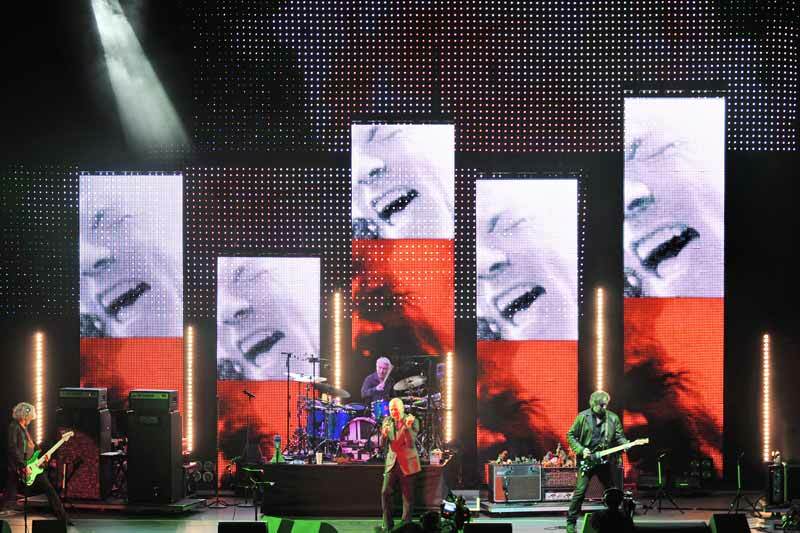 The design for REM's final tour was a city skyline of layered LED video panels framed by an asymetrical lighting design that was large scale yet minimal, with broad strokes of color. 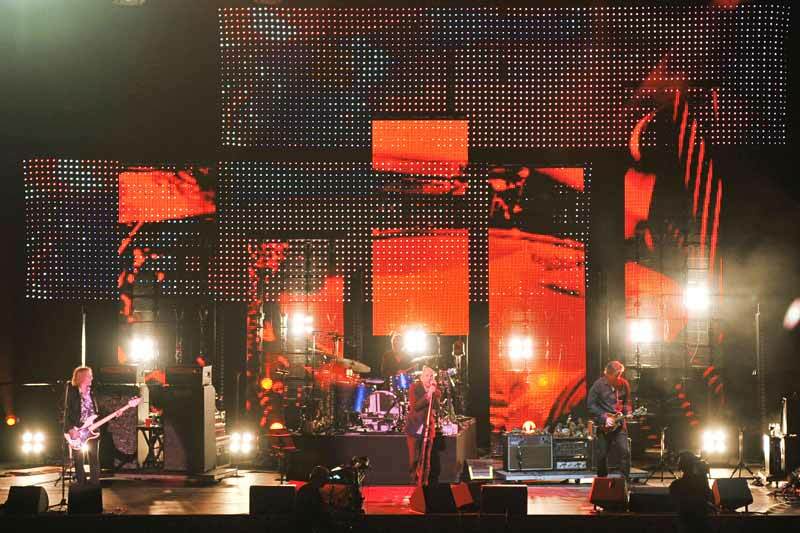 Live camera footage and custom video content mixed together with an emphasis on op-art patterns, high contrast black and white, duotone and infrared effects. 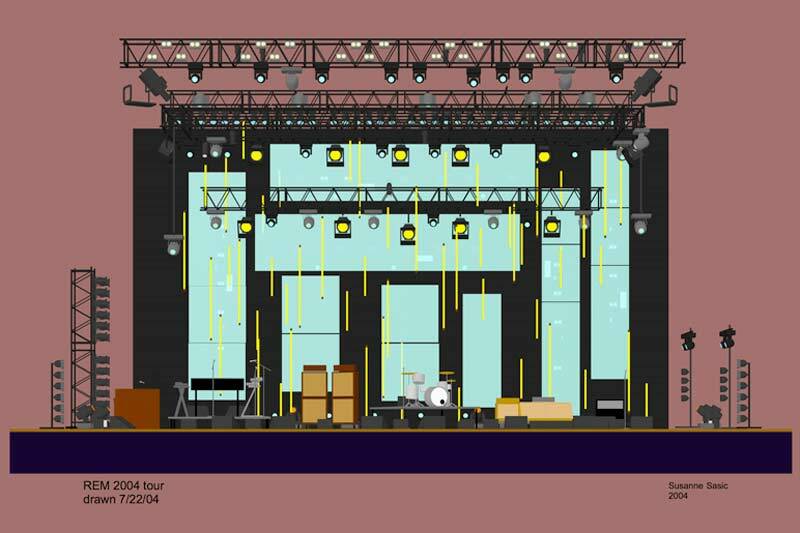 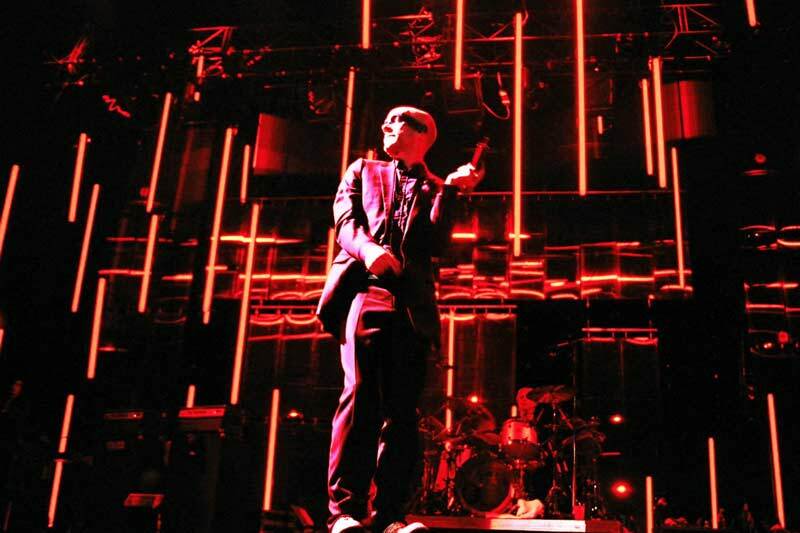 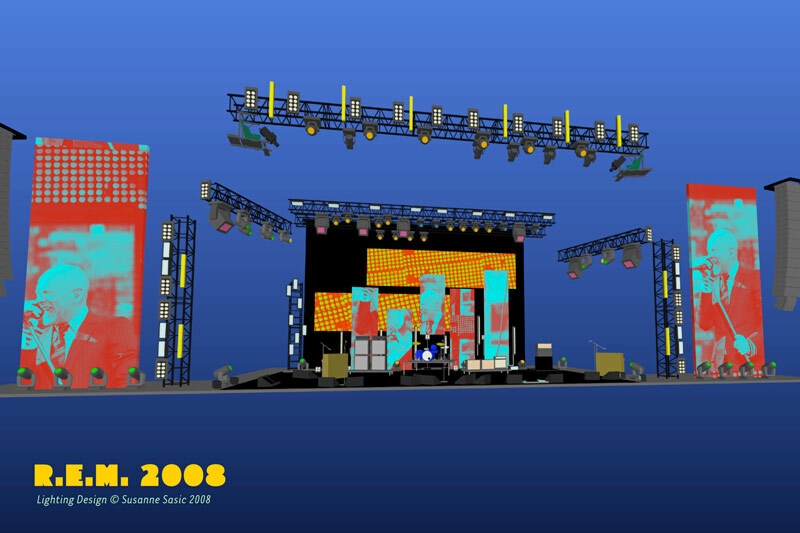 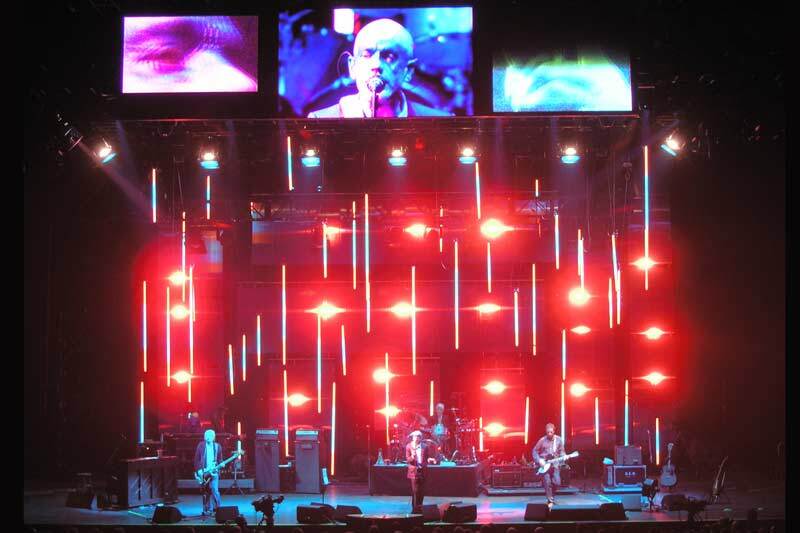 Flourescent tubes and transparent layers were the centerpiece of the 2004- 2005 REM stage design. 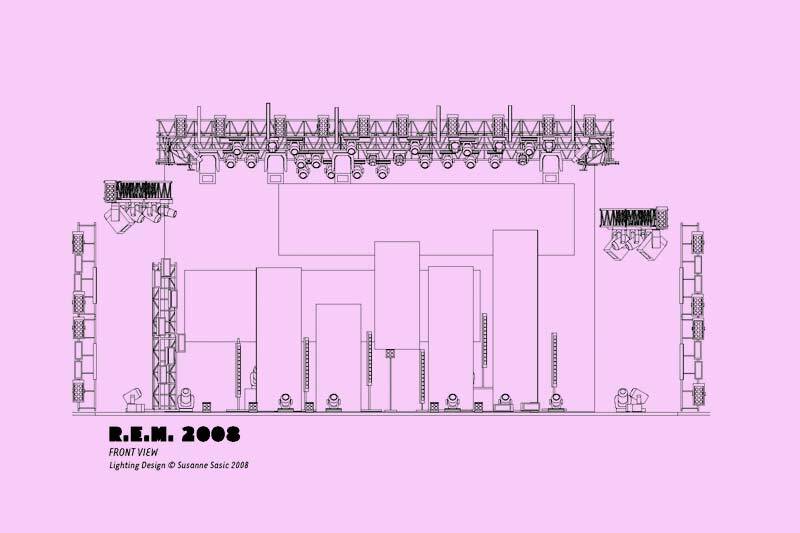 Hanging architectural LED tubes (LEDs manufactured for stage design had yet to become availble) created a floating colorfield. 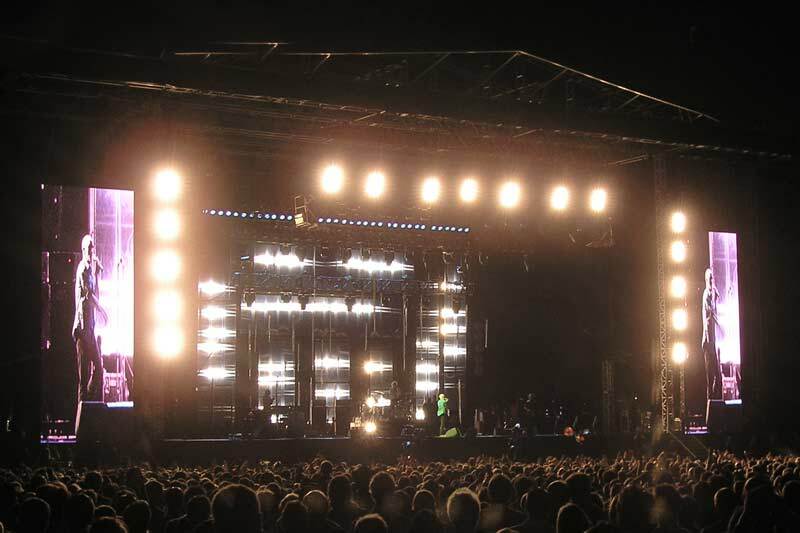 Corrugated plastic industrial roofing panels formed a backdrop, their translucent honeycomb structure generated dazzling effects by refracting the lights and strobes behind them.